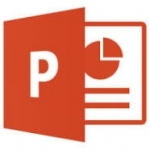 You can create great presentations with Powerpoint. Find out how to add pictures, charts, and tables. Learn about themes, transitions and animations. And learn strategies that will help you get your point across.